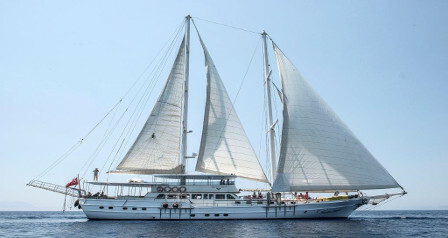 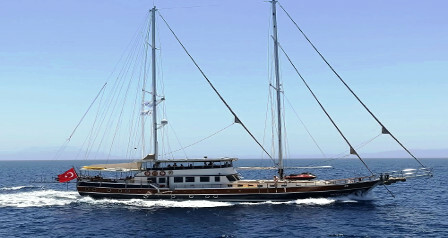 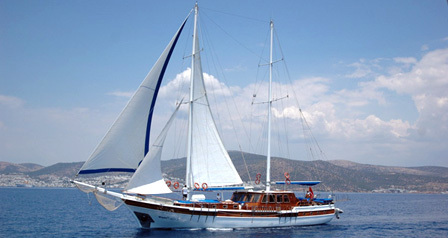 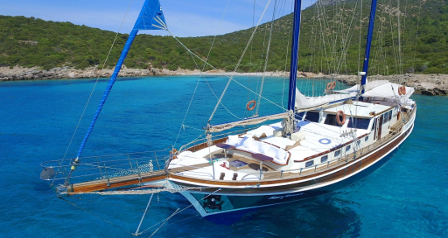 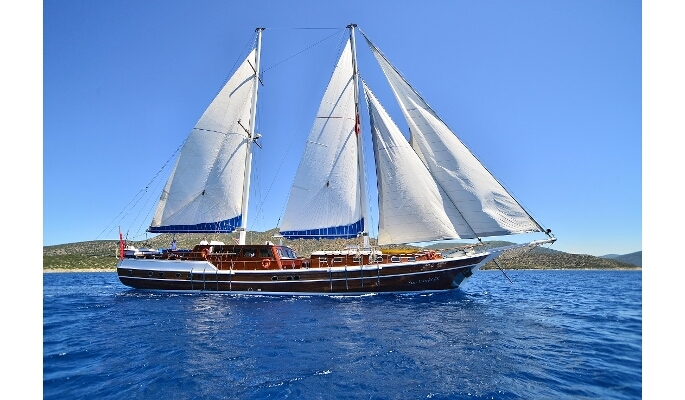 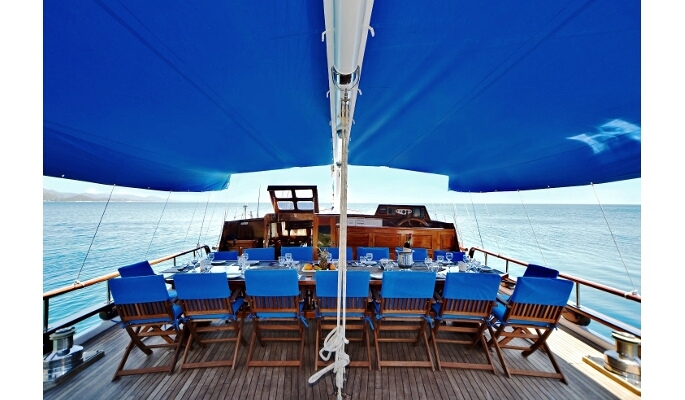 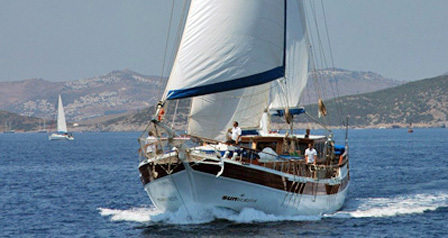 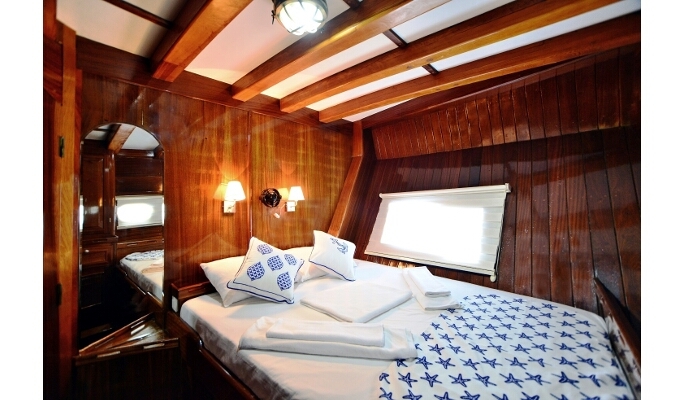 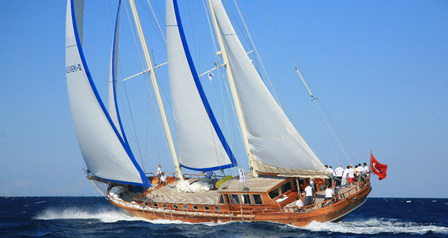 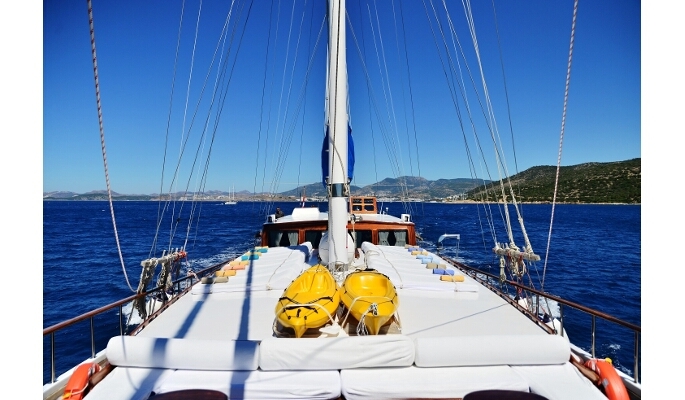 For larger groups of family, friends, couples or singles SUNWORLD IX is a great high quality charter gulet. 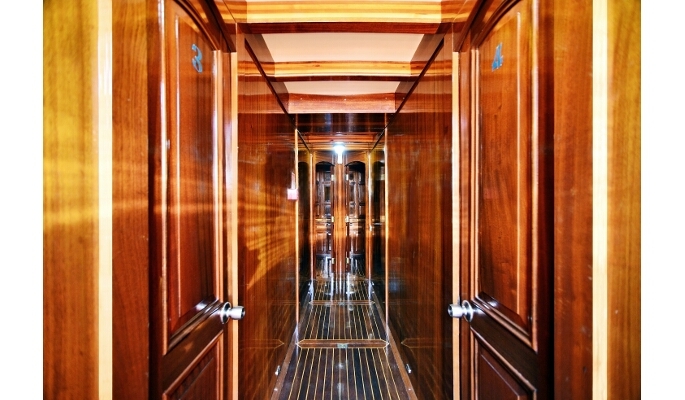 There are 4 cabins are at the front of the yacht and 4 at the rear, separated by the saloon making the layout almost like 2 separate boats with a lot of privacy. 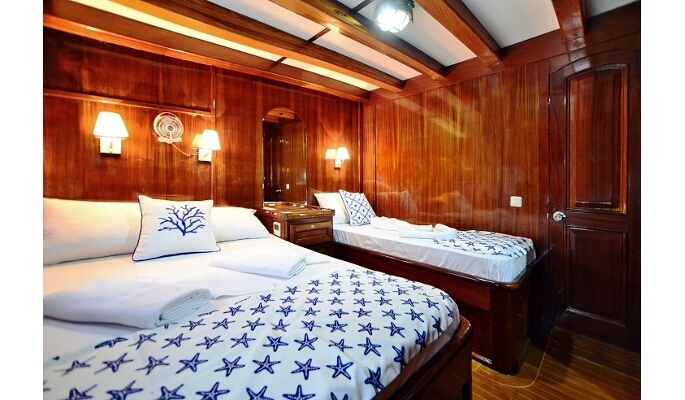 4 cabins have double beds and the others a double and a single. 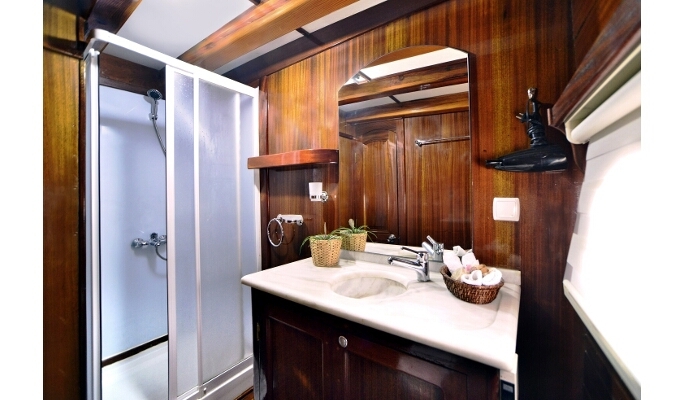 The en suite bathrooms have shower cubicles and sinks with marble surrounds. 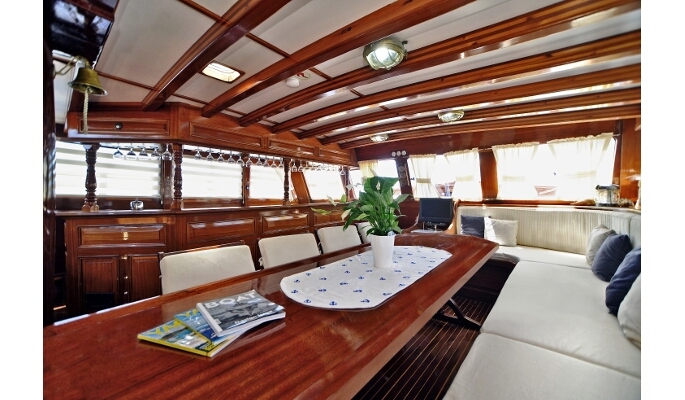 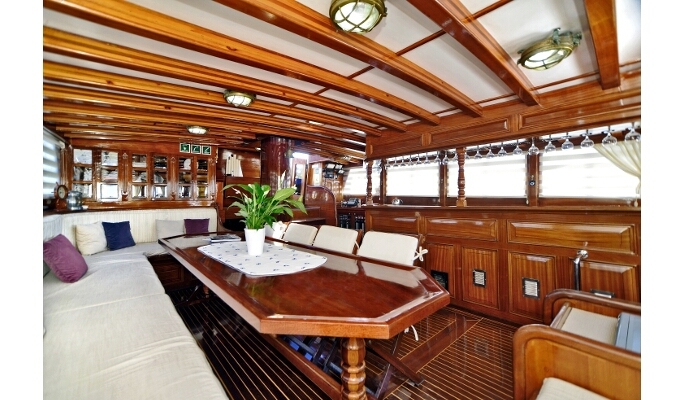 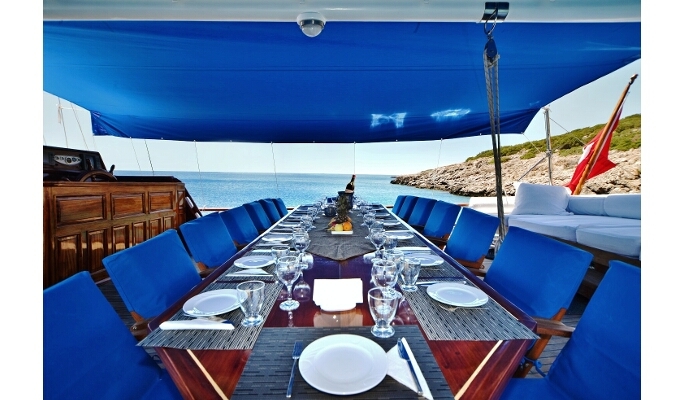 On deck is a huge dining table for long and leisurely meals prepared by SUNWORLD IX's excellent cook. 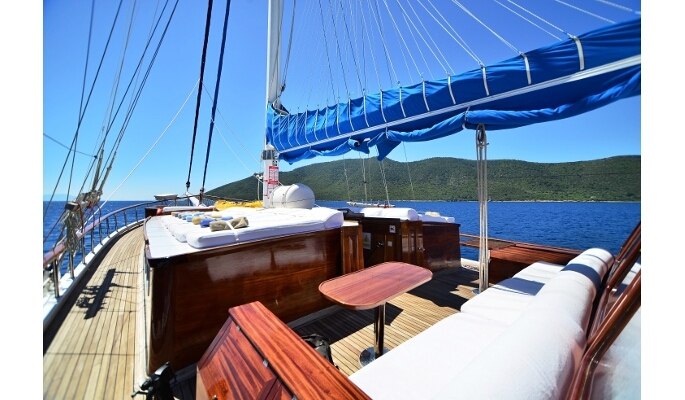 There is also plenty of space to relax without feeling crowded - on the aft deck cushions or sunbeds, plus 2 sofas, 1 forward and another amidships.